"He was in the middle of the concert and he ran offstage, bless his heart,". "I'm just glad nobody was hurt." 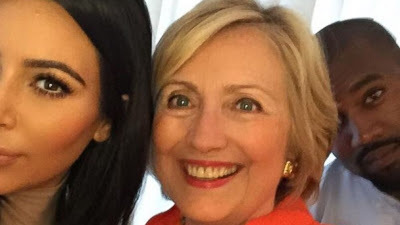 Clinton said she felt "really bad" for Kim K, who was robbed of about $11 million worth of jewelry and held at gunpoint in her hotel room. Kardashian endorsed Clinton late last month for Presidency.